Whether you need to fix leaking taps to save water or just want to upgrade and refresh your bathroom, laundry or kitchen, Mott Plumbing in Adelaide are here to help! Our plumbing experts know a thing or two about tapware and sanitary ware, and will provide you with the ultimate plumbing solution. 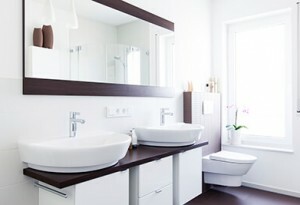 Mott Plumbers can supply and install new taps and fixtures or install and connect owner furnished fixtures and taps as required. For a fast, efficient project with no mess or inconvenience to your lifestyle, contact Mott Plumbing to fix or replace your taps and sanitary ware today! At Mott Plumbing, we specialise in the replacement of all types of plumbing fixtures for kitchens, laundries, bathrooms, toilets, and more! Our experts fix or replace sinks, laundry troughs (free standing in cabinets or inset into bench tops), basins and vanities, baths, shower cubicles, toilets, bidets, dishwashers, fridges, filter taps and systems, and any other plumbing fixtures your home needs. We also service drinking fountains, ablution troughs, urinals, and a broad array of specialised medical and commercial equipment for businesses. No device is too complex for us. And because building maintenance and renovation work often means coordinating more than one trade to manage your project, our plumbers will help you arrange any additional trades you might require. This added benefit helps you get your renovation or refurbishment completed efficiently, easily and with minimal disruption to your day-to-day life. 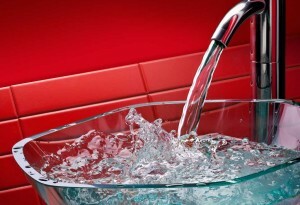 Our reliable plumbers can replace or repair leaking taps and taps that are tight or difficult to turn on and off. Repairs to existing taps can usually be carried out without a problem, but our team carry a basic range of tapware in their vans, just in case. We are also more than happy to supply and install any site specific replacement tapware to meet your requirements. Whether it’s an emergency situation that needs same day attention or something you’ve been meaning to do for ages, you can trust Mott Plumbing to supply and install your new taps at the time that’s right for you. To repair or replace leaking taps or install new plumbing fixtures for renovations, give Mott Plumbing a call, or request a no obligation quote today!